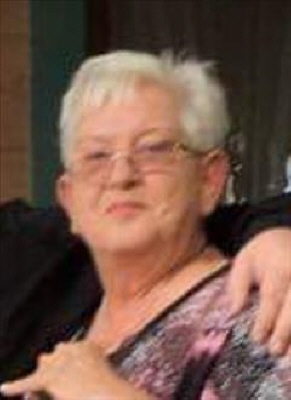 Rhonda Morris, 68 year old Sharon resident, passed away Monday, December 3, 2018 in Woodward. Funeral services will be held at 2:00 p.m. Monday, December 10, 2018 at the Mutual Christian Church with the Reverend Don Taylor officiating. Burial will follow in the Dunlap Cemetery. Rhonda Kathryn (Wreath) Morris was born on November 7, 1950 in Woodward, Oklahoma; she was the daughter of David Webster and Alvira Jacquelyn (Haught) Wreath. Rhonda grew up southwest of Mutual and she was in the first class to graduate from Sharon-Mutual High School in 1969. Rhonda attended Southwestern State College and later attended LPN school in Woodward. She was united in marriage to Michael Morris on November 9, 1978 in Rock Springs, Wyoming. They lived in various places including, Woodward, Elk City, and in the country between Sharon and Mutual. Rhonda worked at the Shattuck Hospital, Grace Living Center, Mooreland Nursing Home, and NCBH in Fort Supply where she retired in February of 2017. Rhonda was a member of the Mutual Christian Church. She loved reading, cross stitching, crocheting, going on road trips, movies, family gatherings and being with family and friends. Rhondas greatest enjoyment in life was seeing her children and grandchildren grow up. She is survived by one son, Michael Morris and wife Catherine of Sharon; daughters: Jennifer Morris of Sharon, Jacquelyn Gamble and husband Gary from Woodward, Cody Pickle and husband Rhian of Sharon, Robin Harrington and husband Travis from Tulsa; one brother David Wreath and wife Candy of Sharon; sister Dava Carter and husband Allen of Seiling; sister-in-law, Yvonne Wreath of Mutual; grandchildren: Amnesty Hood, Ocean Gamble, Alexander, Keegan, and Korben Morris, Malakai, Connor, and James Pickle, Saige Kinsey Roslyn Karpe, and Derek Gray Harrington; three great-grandchildren; other relatives and many friends. She was preceded in death by her parents, Dave and Jackie Wreath and her brother Leroy Wreath. To send flowers or a remembrance gift to the family of Rhonda K. Morris, please visit our Tribute Store. "Email Address" would like to share the life celebration of Rhonda K. Morris. Click on the "link" to go to share a favorite memory or leave a condolence message for the family.